Male and female guitar and vocal duo for hire. Dave and Gay Reay launched their guitar and vocal duo in the early 1990s. Under the name Galliard, they toured nationally, mainly on the folk club and festival circuit, performing jazz and blues alongside traditional songs arranged for jazz guitar. Dave and Gay Reay launched their guitar and vocal duo in the early 1990s. Under the name Galliard, they toured nationally, mainly on the folk club and festival circuit, performing jazz and blues alongside traditional songs arranged for jazz guitar. Their first album, Strange News (1995) was well reviewed and received airplay on BBC Radio 2 among others. Two further albums followed, Love and Pleasure (1998) and MoonWaterBlue (2006) and appearances at the Edinburgh Fringe and in the film Down the Tracks: The Roots of Bob Dylan. More recently, Dave and Gay have concentrated more on their jazz repertoire, added electric guitar to their original acoustic format, and explored the use of digital loops and backing tracks to expand their sound. 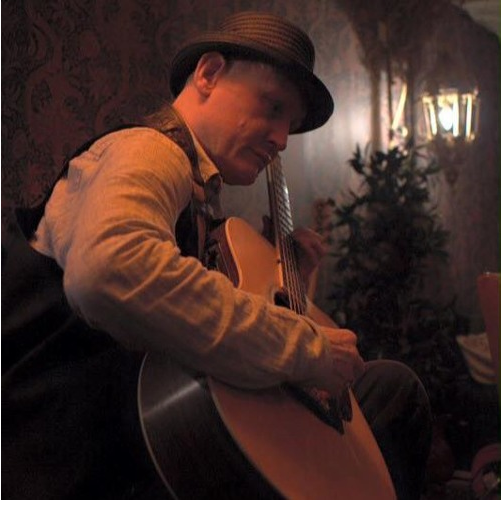 Nowadays, they supply lead guitar and backing vocals in the band The Strangers and Dave plays lead guitar in the jazz trio Threedom and the gypsy jazz/ska band, Gypskazz, as well as enjoying a long-term collaboration with Canadian guitarist, Jamie Moore.